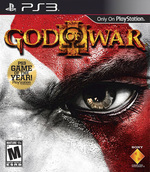 God of War III allows players on the PlayStation 3 to take on the climatic role of the ex-Spartan warrior, Kratos, as he treads through the intimidating heights of Mt. Olympus and the dark depths of Hades once more to seek revenge on those who have betrayed him. Armed with double-chained blades, as well a selection of new weapons, Kratos must take on mythology's darkest creatures while solving intricate puzzles throughout his merciless quest to destroy Olympus and the mighty Zeus himself. Simply put, God of War III is not one of those games that does one thing well and one thing only. It's a game that sets out for perfection throughout the course of its eight or nine hours of gameplay and very nearly achieves it. On a purely technical level, it's one of the most impressive games the PS3 has to offer: It shifts perspectives effortlessly across a number of highly detailed environments without so much as a hiccup and with almost nonexistent load times to interrupt the experience. Kratos’ legacy of brutality and chaos ends with a remarkable bang. The game is brimming with unforgettable, jaw-dropping moments that will stay with you forever. As good as the previous God of War games were comparing them to God of War III is like comparing Mount Olympus to a single grain of sand. 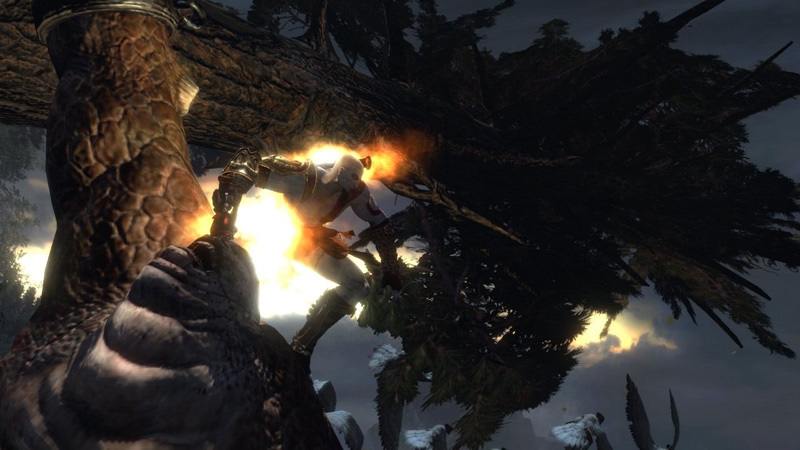 Kratos’ final journey is the crowning example of why we play video games. If you own a PlayStation 3, you owe it to yourself to play this game. Without question, God of War III sets the new gold standard for action games, clearing and then raising the near-impossible bar that was set by its previous installments. For many years to come, this will be the game by which all others in the genre are compared, and I suspect we won't see anything like it for quite some time. 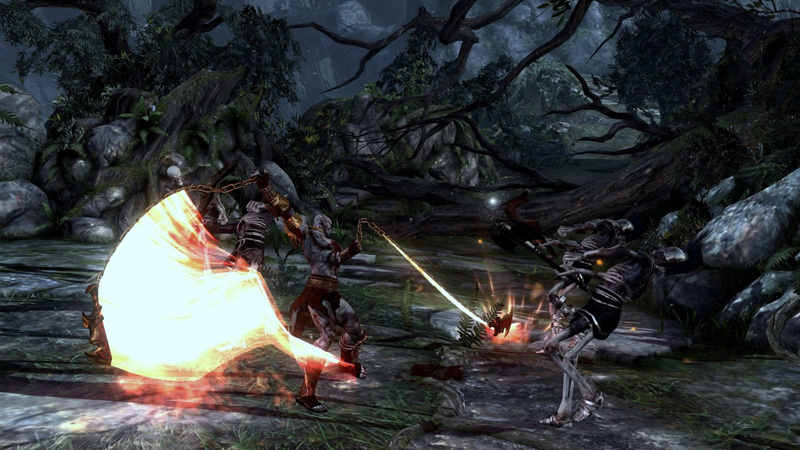 If God of War III was the reason you bought a PS3, your purchase has been justified and then some. The fury, destruction, and murdered gods – it’s all been leading up to this. When I first took up Kratos’ blades back in 2005, I thought I was embarking on a simple quest for vengeance. After leaving a trail of bodies spanning four games and three systems, that quest has finally reached its end. Not even in my wildest dreams could I have imagined such a powerful, cinematic, and breathtaking conclusion to the saga of the Ghost of Sparta. It's incredibly familiar and a bit brief, but God of War III still stands as a herculean achievement. A lot of TLC went into its creation and it comes shining through at every turn. The tweaks to the gameplay are minimal and the lack of titan interaction feels like a missed opportunity, but when Kratos is swinging his hypnotizing blades it's easy to forget that the rest of the world even exists. Packed with so many memorable moments, it will be talked about for a long time to come. If you aren't awed in some way, shape, or form, not even the gods can help you. You might have worked out that I like God of War 3 a lot. A game with this much hype always has the potential to disappoint, but Sony and the team at Santa Monica Studio clearly knew what they were doing. This is a video game developed at the very highest level and takes what I thought was possible to new heights. God of War 3 is easily the best PS3 game I've played and sits comfortably as one of my favourite games of all time. God of War III is Kratos’s fifth and ostensibly final adventure, and it brings the series crashing to a fittingly brutal close, giving fans everything they’ve come to expect on a bigger scale than it’s ever been delivered. Gallons of blood are spilled, gods and Titans die in horrifyingly elaborate ways, and thousands of monsters are messily eviscerated by Kratos’s whirling chain-blades. The bosses are big, the puzzles are bigger and the combat is more fluid than ever. 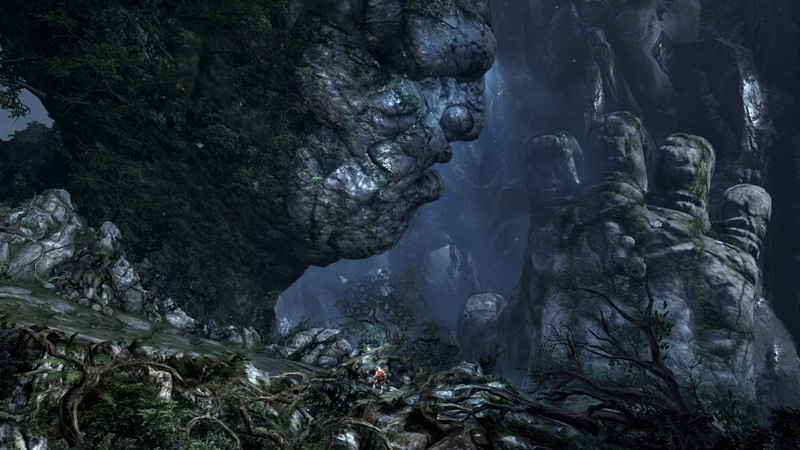 The beautiful rendering of Kratos' ugliness is what made God of War III a compelling experience for me, despite of the bits that felt unnecessarily slavish to the God of War formula. Even if it's not the best God of War game, it's unequivocally the best-looking God of War to date, and it makes for a wicked showpiece for the PlayStation 3. God of War III is much the same: a technical marvel, but with all the clever stuff turned towards the aim of very basic gratification. There are no branching paths, no complex decisions, and no multiplayer modes, but this particular game is all the better for it, since the results are rich and focused rather than drawn-out and a little ragged. Ultimately, if you want to revel in old-school pleasures decked out in the very brightest new armour, this is about as good as it gets. It's dizzying in scale, exhausting in its momentum and repellent in its unparalleled brutality, yet there's genuine emotion at its heart and a surprising poignancy to proceedings that lingers far longer than its bombastic action exterior might suggest. For all God of War III's familiarity, it's a game refined with such grace and skill, there's no question that this is the absolute pinnacle of an already exhilarating series. Sure, it's a smaller, leaner beast than its predecessors but, as it happens, one that packs an absolutely unforgettable punch. 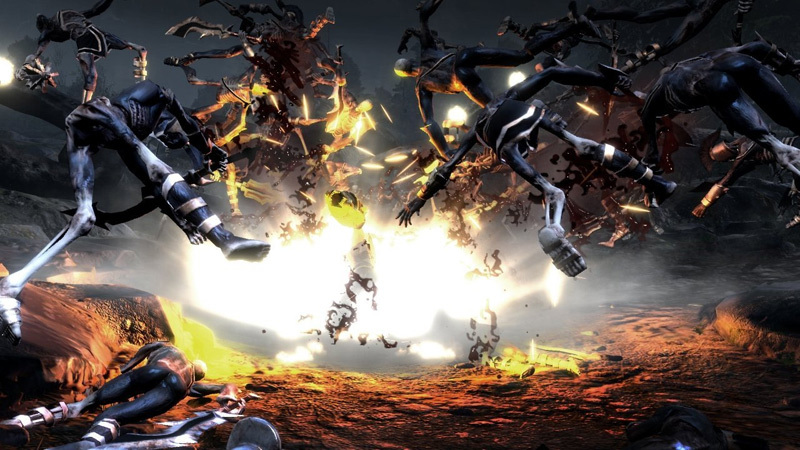 The environments, story, and bosses are positively jaw-dropping, while the incredibly fluid action and combat will keep you wanting to put “just 10 more minutes” in before calling it a night. 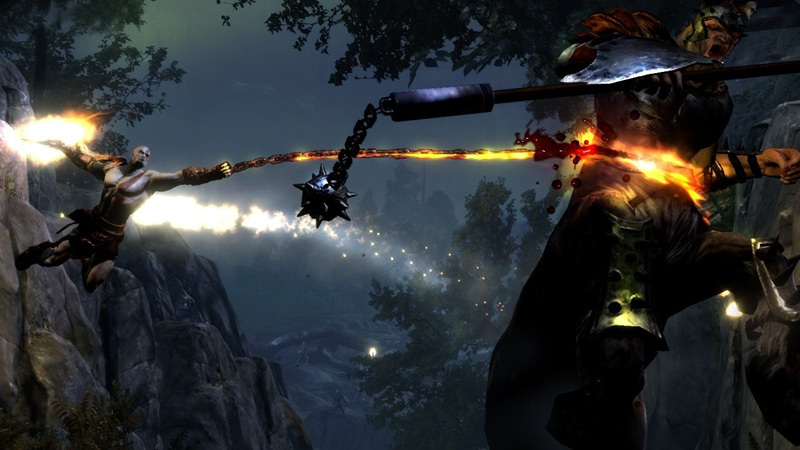 All other action-adventure games pale in comparison to this gigantic endeavor – with God of War III comes a very, very high bar for every other game to rise above. Let’s just hope we haven’t seen the last of Kratos and his gory escapades. It is sad that this is the final game, and it's really not how it deserved to end. At roughly ten hours in length - and packed with bonus challenges, unlockable difficulty settings and plenty of other bonus materials - it starts strong but ends with a fizzle. That is not good enough for Kratos and certainly not good enough for God of War. God of War III cumple absolutamente todos los requisitos para ser una compra obligada, como título exclusivo, para cualquier usuario de la consola. Unos valores de producción altísimos a sus espaldas, un motor propietario que explota hasta los límites actuales a Playstation 3 y una jugadilidad refinada y equilibrada, con retos que motivan. Los primeros pasos del Dios de la Guerra en la presente generación no podían darse mejor ofreciendo todo lo que sus aficionados han estado esperando desde la segunda entrega. Si te gustaron los otros dos este te gustará todavía más, y si no los jugaste no te preocupes, como hemos dicho antes aquí todo es cuestión de espectáculo y acción directa, no hace falta venir con los deberes hechos. Sus únicos defectos además las cuatro minucias de diseño comentadas son ser lo mismo y no incluir novedades (¡ansiamos un multi a dos jugadores online!) pero es que el punto de partida era tan y tan bueno, que solamente tocando un poco por allí y ajustando un tornillo por aquí ya han conseguido un juegazo. God of War III es un broche maravilloso a la trilogía de Kratos y su lucha contra los crueles designios divinos. Avanzadísimo visualmente y con unas mecánicas de combate francamente buenas, el juego de Sony Santa Monica está repleto de situaciones espectaculares que se grabarán en nuestra retina. Es un fantástico “más de lo mismo pero más grande”, que hará las delicias de los fans del más cruel, desalmado y chulo de los héroes que nos ha dejado la historia de los videojuegos. Affichant une qualité intrinsèque indiscutable, une mise en scène époustouflante et une aventure ressemblant à un gigantesque morceau de bravoure, ce troisième épisode se veut être une gifle à tout ce qui a été réalisé jusqu'ici en matière de beat'em all. Délaissant l'originalité au profit d'une maîtrise totale du fond et de la forme, ce segment se présente comme un maillon essentiel de la destinée de Kratos et un nouveau palier à franchir pour qui oserait taquiner la création de Sony. God of War III pode ser uma jornada com contornos familiares mas é tão épica e brutal quanto se poderia esperar, e ainda um pouco mais. É um fantástico jogo que diverte a cada minuto que passa, oferecendo um bom desafio e tudo o que os fãs alguma vez desejaram. Os tons já lhe são conhecidos e mais uma vez os estúdios da Santa Monica apresentam uma referência aconselhável a qualquer um que goste de videojogos. Raramente a expressão horas que passam como minutos pareceu tão adequada. I brani presenti all'interno del gioco si sposano perfettamente con l'azione riportata su schermo, e alcune scene in particolare non avrebbero la stessa forza espressiva senza il sostegno di questo accompagnamento musicale. God of War III è quindi un capolavoro? Assolutamente sì. Nonostante la quasi totale assenza di innovazione, l'ultima avventura di Kratos è l'epilogo che ogni fan avrebbe desiderato, la chiusura perfetta della storia epica che ogni appassionato di videogiochi vorrebbe giocare sulla propria console. God of War is terug en krachtiger dan ooit! De trilogie wordt waardig afgerond. We zien vertrouwde elementen terug in het spel, maar ook is er genoeg vernieuwing te bekennen, zoals de schoenen waarmee je op muren kunt lopen. Jij kruipt in de huid van de meest gevreesde Spartaan ooit en het heeft nog nooit zo heerlijk gevoeld om wraak te nemen. God of War III is niet perfect geworden, maar in de oorlog om de beste hack and slash titel, komt die zeker als winnaar uit de bus. Storskaligare, bättre, snyggare, brutalare. Nämnas ska att spelet verkligen gör skäl för sin höga åldersgräns. Främst genom allt grafiskt våld, men också genom en redan på förhand omtalad - låt oss säga rytmisk - sekvens med en viss skönhetsgudinna... Och så är cirkeln sluten. Det sista, avgörande hugget utdelat. När äventyret är över efter åtta-nio timmar sköljer en våg av bitterljuv tillfredställelse över mig. Med facit i hand blev ett av Sonys allra viktigaste spel i år riktigt, riktigt lyckat. Ett måste i varje myndig och actionsuktande Playstation 3-ägares spelbibliotek.